The key to this traditional Italian dish is to serve it when the rice is just cooked and the risotto is still a little runny — the last thing you want is a clumpy heap of rice. 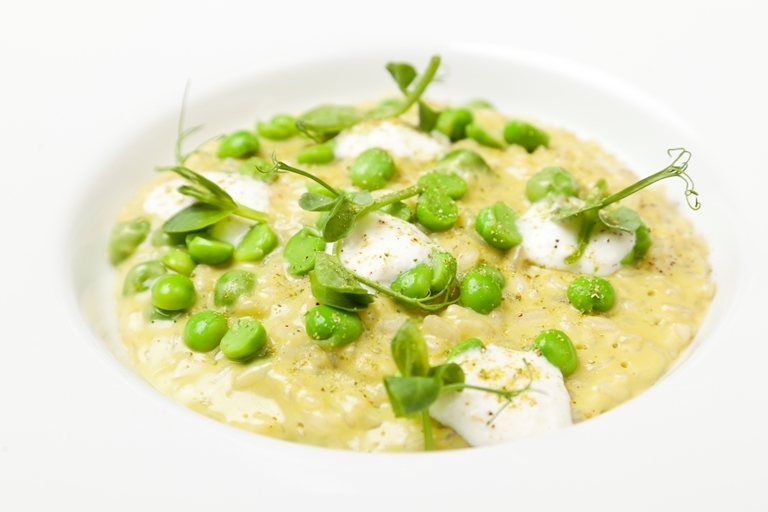 Alyn Williams' humble pea risotto recipe is finished with a generous helping of cottage cheese. Use a vegetable rennet based hard cheese instead of Parmesan if cooking for vegetarians.